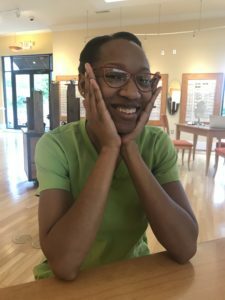 It’s no secret we love fashionable frames–and so do our patients, friends, and Facebook followers. As such, we are constantly on the lookout for ways to increase our offerings and push the boundaries on frame fashion in our area. In that spirit, we are ecstatic (yes, ecstatic!) 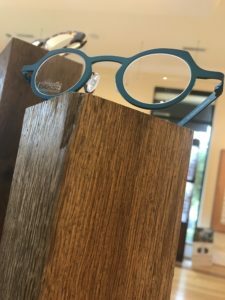 to announce a new funky frame line has come to our Salem office: Theo. Just the name alone, pronounced “tay-OH”, inspires a certain élan – style, individuality and yes, even a sense of humor. 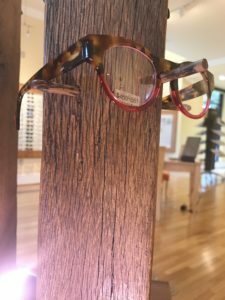 These frames are crafted with excellence in Belgium, and if you live in Southwest Virginia, you will only find them at our Salem office. They are sure to create a splash of excitement wherever they are seen–and are also guaranteed to create a personal statement for whoever is lucky enough to be wearing them. We decided to pursue adding Theo frames to our top-eyewear brand offerings because we know that eyewear should never be an afterthought–in fact, it should be an intentional statement piece about personal style. The color, style and funky-fun vibe of Theo frames brings smiles, not just to the wearer, but to everyone who is fortunate enough to spot you rockin’ a pair. 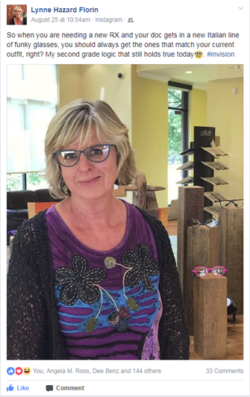 Recently, one of our patients came in for a prescription update and left with a pair of Theo frames, she is the first Invision patient to snag a pair. 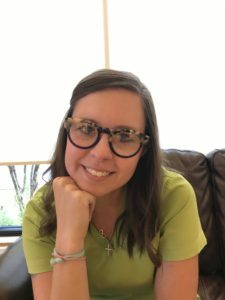 She took to Facebook to show the world her renewed eyewear style, and the feedback was incredible. 33 comments and over 144 “likes” later, we are confident her Theo frames were a huge hit. 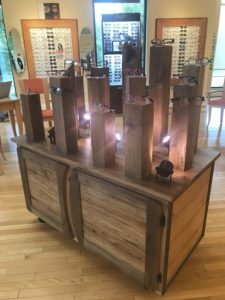 If you are ready to be bold, daring, and even a bit funky with your frames we encourage you to stop by our Salem office and check out the Theo line for yourself. We’ve had a lot of fun trying on the frames ourselves and are eager to help you explore this new line. We are excited to help you find the perfect frames that will express your personality and sense of style.